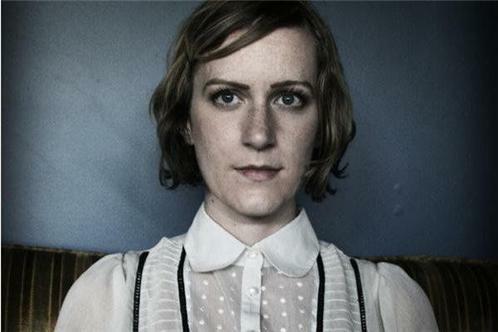 Steeped in the fingerpick-guitar rudiments of folk music, inspired by the expressionism of classic jazz vocalists, and finding common ground in the minimalism and ear-taunting of the avant garde, Laura Gibson alights on a branch of the music tree that no one else has found. Gibson reveals that her own singing is more informed by a sensitivity and self exploration than by training. "I like to feel the rumble in my sternum and the vibrations in the back of my throat when I sing. I tend to gravitate toward simplicity and minimalism, but I am very conscious of the particular notes I play." Equally deliberate, and as a nod to the vinyl record era, Beast Of Seasons is split into two parts. Part 1: Communion Songs, and Part II: Funeral Songs. "In looking back over these songs, I found two themes arising: First, reaching towards something outside of ourselves, be it a lover or god or family (Communion Songs) and second, grappling with the idea of ultimate aloneness and acceptance (Funeral Songs)." The songs isolate distinct and familiar emotions from the many reactions to death, ranging from fear ("Where Have All Your Good Words Gone"), and denial ("Sweet Deception"), to brave acceptance ("Funeral Song"). As a whole, the record might be interpreted as nine meditations on mortality. This is not to say it is a work of philosophy, but rather a group of meditations, or gut reactions to the idea of death. Written from a room in a house overlooking the mossy gravestones and mature maples of one of Portlands oldest cemeteries, Gibson notes she finished the last song just days before moving out. "When I was finished I felt a great relief," she offers, as if an epilogue to the opening line of the album: "I have carried beasts for many seasons"
Drawing on anatomical imagery (words like bones, skin, tongue, and spine appear multiple times on this record) Gibson updates the pastoral imagery of Appalachian folk and country blues idioms with the landscape of the body. "I feel the seasons changing in my lungs, and I recognize grief as a weight in my bones," Gibson explains. On "Funeral Songs" she blurs this line, "Ask no greater pardon than the pattern time is carving in your skin." Though each song dances around the theme of death, ultimately, they reflect the urgency of life. Her accomplice for Beasts of Seasons was friend and Grammy-nominated producer Tucker Martine. The project offered Martine a departure from the grand visions of bands like The Decemberists and Sufjan Stevens. The computer in Martines studio was eschewed in favor of a vintage, slightly shaky, two inch tape machine. Limited to sixteen tracks, many things were recorded live. Instead of laying down multiple horn tracks, they invited all of their horn playing friends over one afternoon to collaborate. Instead of multi-tracked vocal harmonies, they formed a choir of compatriots. "Glory is found in those closest to you," said Gibson. For her own part she offers, "As a writer, all I could hope to be, if nothing else, is honest and generous in spirit. I have been alive for exactly 29 years, perhaps not as old as the trees, but certainly older than the birds. There are days I feel like an old women, and I find that death is a calm and familiar presence. There are days I feel like a young child, where death seems so foreign and shocking. Perhaps, more than anything, Gibsons songs might be quiet reflections of the human body, reflections both of strength, and of frailty." With Beasts of Seasons, Gibson offers up an intimate affirmation of mortality, both vulnerable and courageous, dark and illuminating, ordinary and extraordinary.